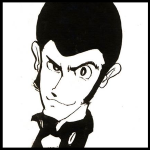 "Arsene Lupin III's clothing works on an animated character, but it would not work so well on a real person. Dark shirts with tailored clothing, especially with a tie, don't work." 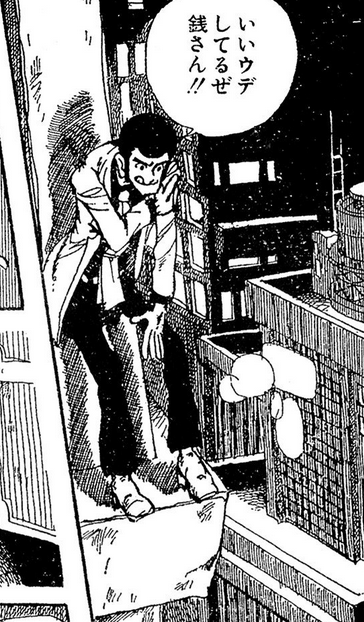 Of course, Lupin doesn't really follow fashion trends/standards, but sets his own. While I think the pink jacket may have been too gaudy, his other jacket colors (and his dark shirts) have made him very distinct and awesome. 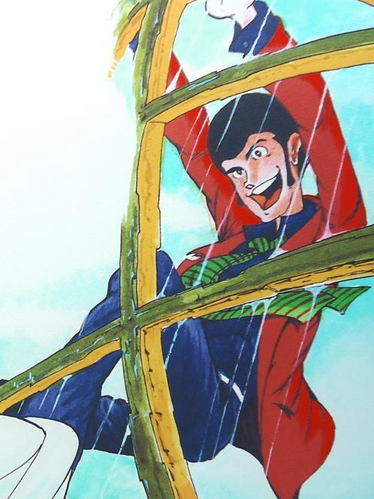 Lupin is definitely dapper. I prefer the black shirt over the blue shirt he has in series 2 though, black goes with everything. The hero of today, yeah! 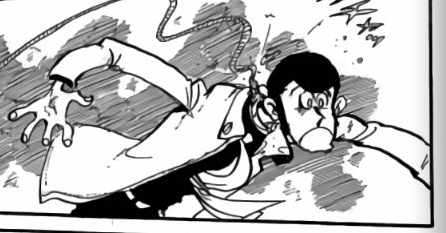 Wonder if he though Lupin's traditional look was too outdated, and wanted to give him something more modern for the early 80s? 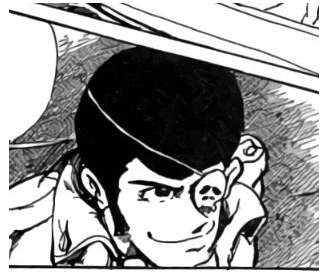 Guess he changed his mind, because for the end of "Yap Land", and most of the finale, "Bad City", Lupin's back to his sports jacket (though the final chapter has him without a jacket or tie). in Jazz bands or, more stereotypically, in classic representations of Mafia gangsters. look outrageous. But that's what makes him stand out on a graphic standpoint and makes him instantly recognizable. 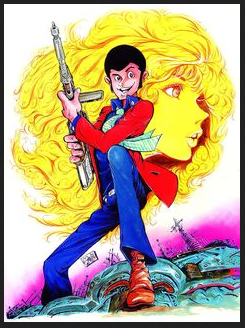 Plus, if you look at real 70's and 80's fashion, Lupin's choice of clothes can even look modest in comparison ! Like DrFurball, I am more partial to the dark shirt with dark pants combination, as it makes his silhouette clearer and stronger. The white pants always toned him down I feel.